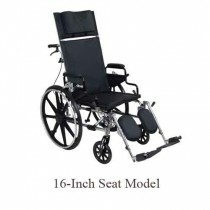 If you are interested in purchasing a wheelchair that leans back, you have two options. 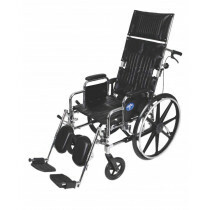 Choosing between a reclining wheelchair or a Tilt-In-Space wheelchair will depend largely on your needs. Just determine if you need to take pressure off your lower back or if you need more blood-flow to the whole body. 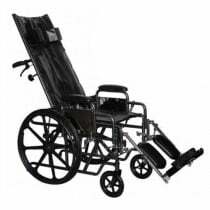 A reclining wheelchair gives patients a variety of many options. You can adjust the back of the chair, taking pressure away from the back and re-distributing it to the rest of the body. 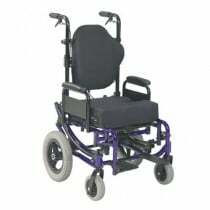 Some reclining wheelchairs also have the ability to remove the arms for more room. Many can also recline the legs, helping with blood-flow. In addition to reducing pressure, these chairs also help to increase circulation in the legs. 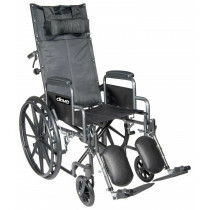 Patients who need a little more circulation to the legs will look for a Tilt-In-Space wheelchair. These types of chairs are designed to raise and lower the legs as well as make any adjustments to the back that is needed. This amount of adjustability can improve blood flow. This increased blood flow throughout the body can lead to better sleep, better breathing and increased energy, among other benefits. 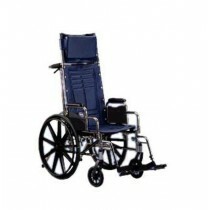 Either type of chair will work well for either short-term or long-term care.